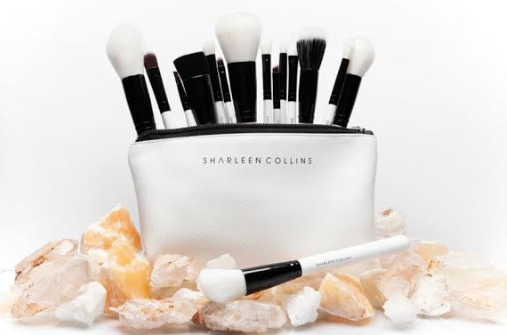 This luxury brush collection, new to the market by Sharleen Collins, boasts 15 of the finest silky synthetic brushes. 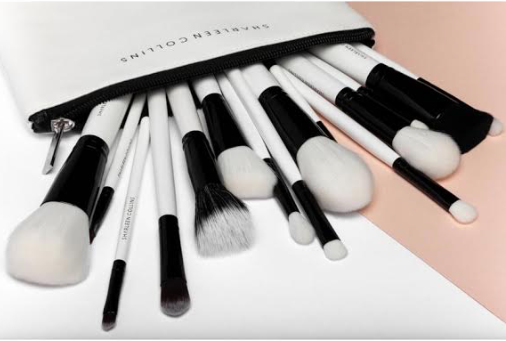 Each brush has a unique thickness and texture to allow for even the finest of details, with a smoothness and finesse you’ll never have felt before. Lip Brush - this luxurious brush is both precise and flawlessly applies lipstick & lipgloss for the perfect pout. 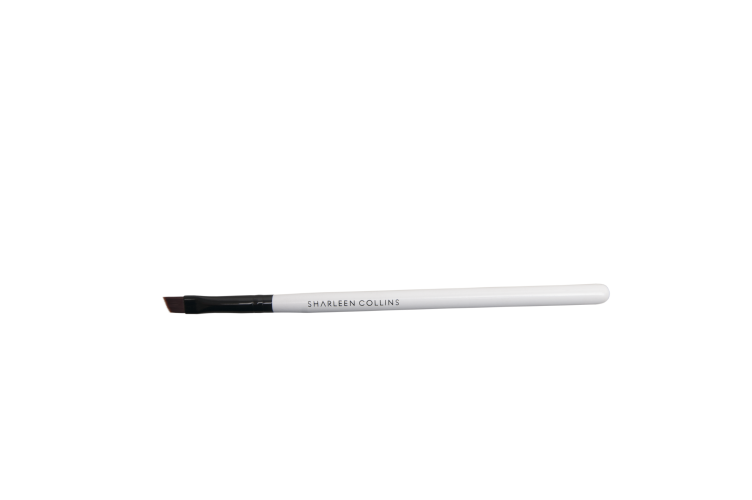 This brush can be used blend out lip liner for a less harsh look. Then, for a lipstick or lipgloss application, start at the centre of your lips and blend product out toward your lip line. Stippling Foundation Brush - this luxurious brush is perfect for stippling foundation for an overall flawless finish. The finer fibers in this brush give you a light, airbrushed coverage with liquid or cream foundation. You can also use this stippling brush for blush and powder. 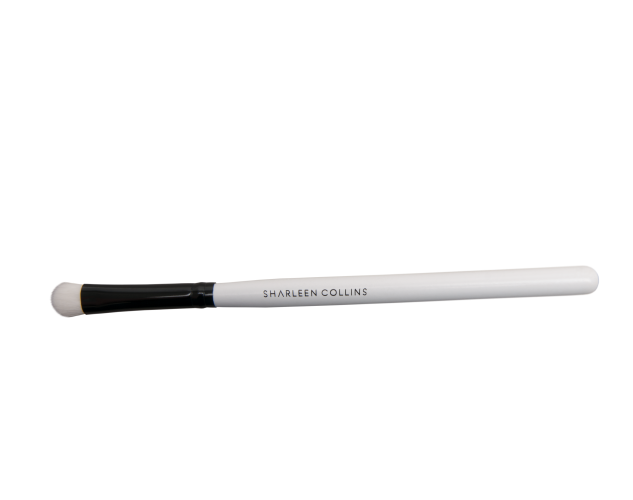 Angled Liner Brush - this luxurious brush helps create bold lines for the perfect winged liner. 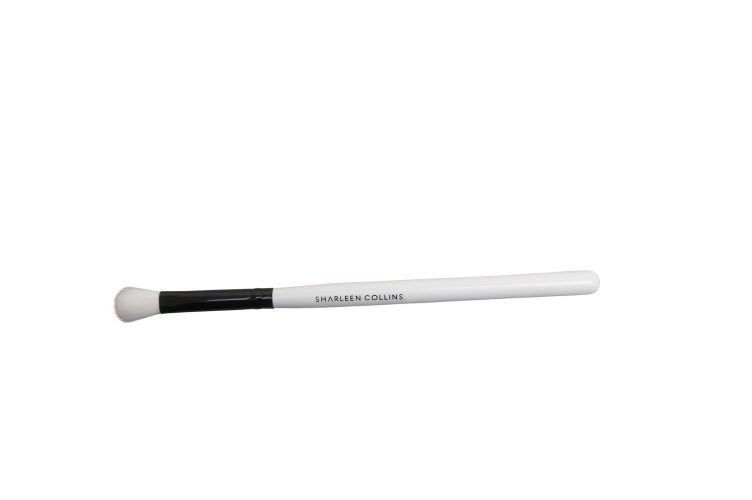 Pencil/Bullet Brush - this luxurious brush is perfect for creating an am sizing cut crease eye look as well as blending out the lower lash line. Concealer Brush - this luxurious brush allows you to blend and buff your concealer in the tiniest of areas with the rest of your makeup. The short, synthetic bristles allow you to buff and blend from light to heavy, and achieve perfect, even coverage underneath the eye and across the face as well. Flat Eyeshadow Brush - this luxurious brush helps you control the application of your eyeshadow onto the lid for an overall flawless look. This brush soft bristles ensure that less powder will be picked up and allows for easy blending and control of your eyeshadow application. 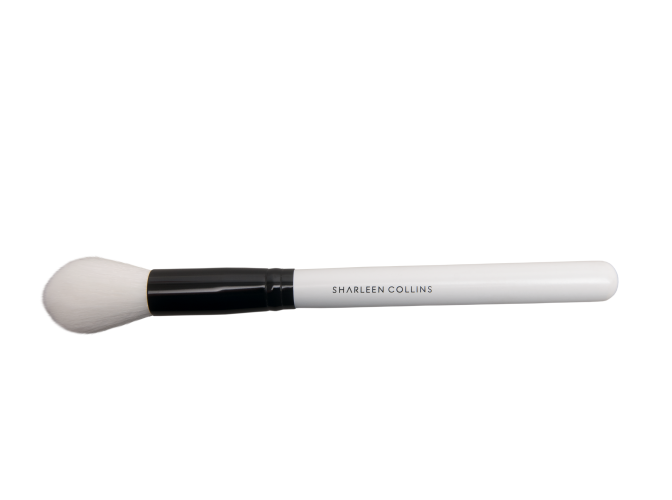 Powder Brush - this luxurious brush is ideal for pressing powder into the skin. This brush is perfect for both pressed and loose powders! This brush has long dense bristles so you should use this by buffing the product onto the skin. Blusher Brush - this luxurious brush is perfect for applying blusher and softening m makeup on the skin. Use this brush to sweep blush from the apples of your cheeks along your cheekbones! Eyeshadow Blending Brush - this luxurious brush helps to seamlessly blend eyeshadows. This brush is perfect for blending eyeshadow. It blends color effortlessly on the lid and crease and can also be used to apply concealer. 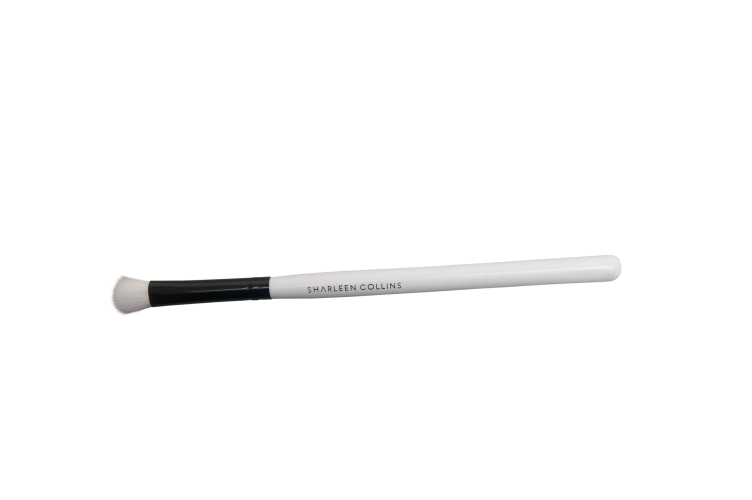 Large Eyeshadow Blending Brush - this luxurious brush is perfect for controlling harsh lines and blending your crease colour. This brush is perfect for blending eyeshadow. It blends color effortlessly on the lid and crease. Use this by buffing out the product in a circular motion to evenly blend. 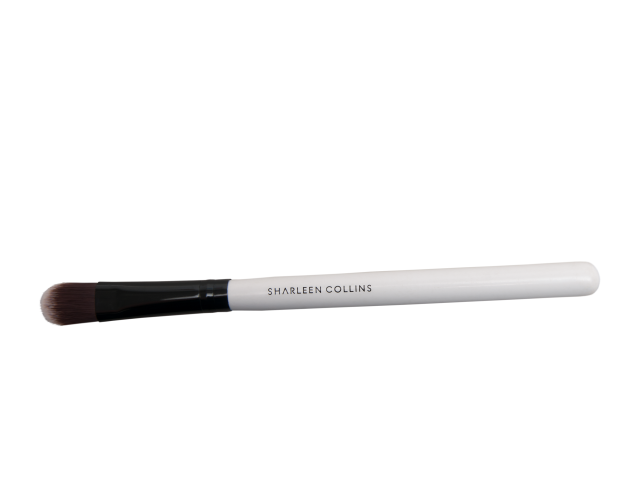 Angled Contour Brush - this luxurious brush fits perfectly into the creases of the face to create the perfectly sculpted contour. 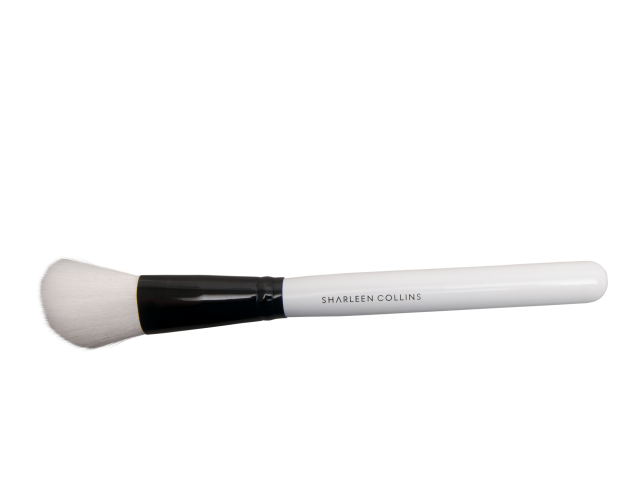 The slanted bristles on this brush make it easier to apply products perfectly to your cheekbones to give an obvious contour look. 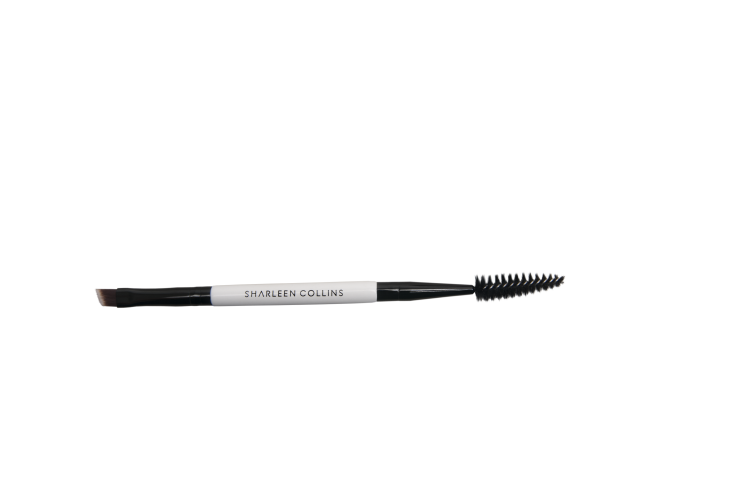 Brow Brush & Spoolie - this luxurious brush is the perfect duo for creating flawless brows. The angled brow brush applies the product to the brow where the spool then grooms the hair into place. The spool can also be used for creating luscious lashes. Kabuki Brush - this luxurious brush is perfect for buffing both liquid and powder foundations to a flawless, airbrushed finish. This brush is perfect for applying liquid makeup and will make application quicker, easier, and give you airbrushed-look, flawless, results! You can also use this for contour and highlight!